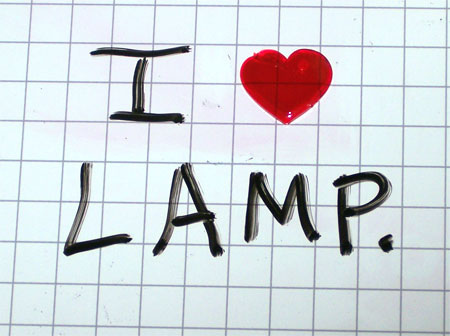 “I love lamp”. You may remember this quote from the movie ‘Anchorman’. In the web world, it implies Linux + Apache + MySQL + PHP/Perl/Python. The M in the acronym is the most popular open source database on the internet. MySQL powers majority of the websites on the internet that store information of some kind. Oracle’s acquisition of Sun has jeopardized the future of MySQL, since it is a direct competition to Oracle database. An online petition to save MySQL was created by MySQL creator Michael Widenius in December. It has received over 26,000 signups as of now. If you don’t want to see LAMP transforming into LAO(Oracle)P, sign the petition here: Save MySQL (the named petition is no longer available). This entry was posted in Apache, Linux, mySQL, PHP and tagged Apache, lamp, Linux, mySQL, oracle, PHP on January 9, 2010 by Gary Banga.